Whether you eventually want to become your own boss or you just want to generate some extra income to pad your savings each month, choosing to start a business on the side is the best way to test your way into finding the right opportunities for making money by putting your skills to good use. Over the past few years, I’ve had multiple side hustles that helped me eventually launch into my own self-employed career. From that experience, here are my four favorite side hustles that are perfect for millennials to start. 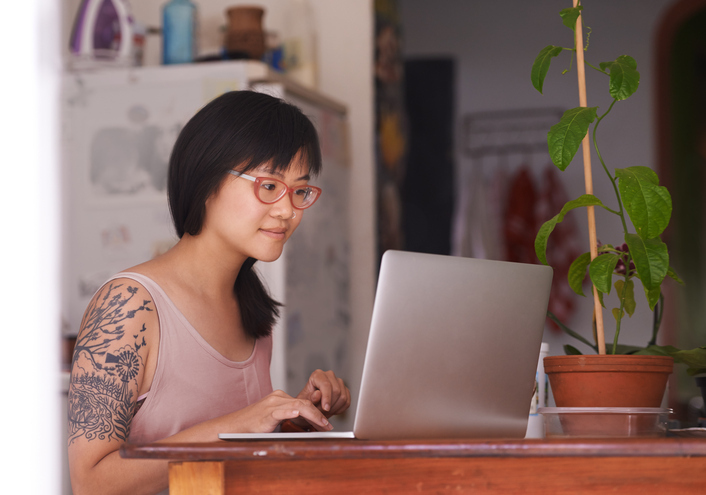 According to a recent report from Freelancer’s Union and Upwork, there are more than 54 million freelancers in America. For good reason, too. Taking the skills you’re already getting paid to build at your day job and putting them to work as a freelance designer, writer, marketer, developer or otherwise in the hours outside of your job can be incredibly lucrative. With the average freelancer charging around $21 per hour for their services, that can easily add up to an extra $1,000 per month in discretionary income to fuel your next big trip abroad. By taking on a handful of freelance projects per month, you’ll also be planting the seeds for what could turn into big new job opportunities and partnerships in the future. Start by creating a portfolio of your best work to highlight your strengths, and begin listing your services on reputable freelance marketplaces like Upwork, Guru and LinkedIn ProFinder. The days of making money by simply writing a blog post every day and collecting a check from online advertising platforms are long gone. However, if you’re able to carve out a niche of loyal readers and build your reputation as an authoritative industry resource, your potential to broker high value sponsorships and partnerships with other brands and businesses, is very high. From doing sponsored product reviews on your blog, placing private ads around your site, sending promotional emails to your subscriber list and hosting contests or giveaways, you can make hundreds or even thousands per week with sponsored content on your blog. If you possess a valuable set of skills from your experience on the job, there’s certainly an audience online who’d be willing to pay to help accelerate their learning curve and achieve their own career goals. There are now a wide array of online course marketplaces, like CreativeLive, Skillshare and Udemy, with various different audience demographics, features and payout structures. You could earn a substantial passive income of several hundreds to even thousands per month from your library of online courses. Once you’ve established an audience, you can even host courses on your own website to retain a larger share of the revenue by using course platforms like Teachable, Thinkific and Zippy Courses. While it may seem like a far reach and you shouldn’t start with this high of a goal for your side hustle, one of the most experienced online educators in the business, Ramit Sethi, lays out a detailed blueprint for how he generated more than $5 Million in just one week from sales of his online courses. Like teaching courses, choosing to offer your hourly services as an online coach will connect you with other professionals who are looking to tap into your expertise and skills and to help better their own lives. Meet with clients either locally or through regular video calls to outline a curriculum plan check in on important milestones, and provide the feedback they’ll need to make meaningful improvements from your wealth of expertise. You can get started easily by setting up a coaching account on various online coaching platforms, like Coach.me, Clarity.fm and Savvy that already have a built-in audience of active users who are looking to level up their skills in career, fitness, music and much more. For even more ideas and inspiration on how to turn your skills into a profitable side hustle, check out my in-depth post with over 100 more great side business ideas, or explore the vast number of resources about finding the right business idea on Quora and the SBA blog.